Erik Mikkelson, Esq. Director of State Government Relations at Hicks Partners, has extensive experience in the executive and legislative branches of government. He has been intimately involved in numerous policy areas, including oil and gas regulations, state operating and capital budget matters, natural resources regulations, criminal sentencing reform, election law and transportation issues. 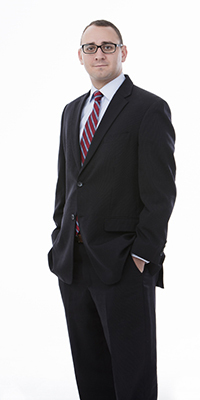 At Hicks Partners, Mikkelson focuses primarily on energy, budget and related state issues. His responsibilities include developing legislative strategies for public and private-sector clients and representing client matters before the Office of the Governor, cabinet agencies, members of Congress, Ohio General Assembly, and local government entities. Mikkelson began his career in state government as a Senate Page and ultimately was hired on to be the Legislative Aide for State Senator Bill Seitz. In that capacity, he served as Clerk to both the Senate Public Utilities and Government Oversight and Reform Committees, helped shepherd a number of landmark bills through the legislature, and formed excellent working relationships with members of the legislative and executive branches of Ohio government. Most recently, Mikkelson served as the Legislative Liaison for the Ohio Department of Natural Resources. In that role, he helped develop and implement policy for the department’s legislative agenda and helped negotiate compromises on legislation and proposed rules impacting the department’s programs. His main focus pertained to oil and gas regulatory issues as well as oversight of the administrative rules process. Mikkelson earned a Bachelor of Arts in Political Science from The Ohio State University and his Juris Doctorate from Capital University Law School. He and his wife Amanda currently reside in Dublin.